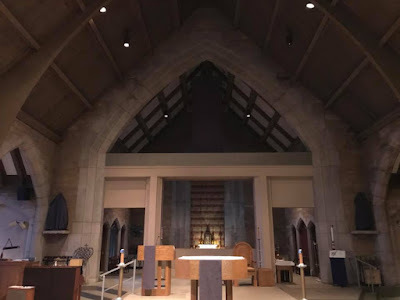 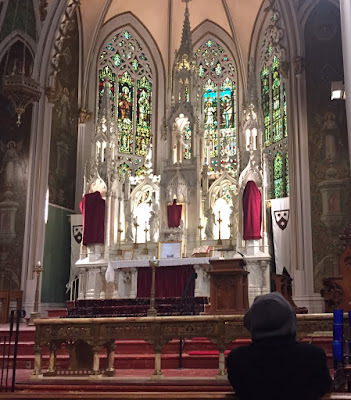 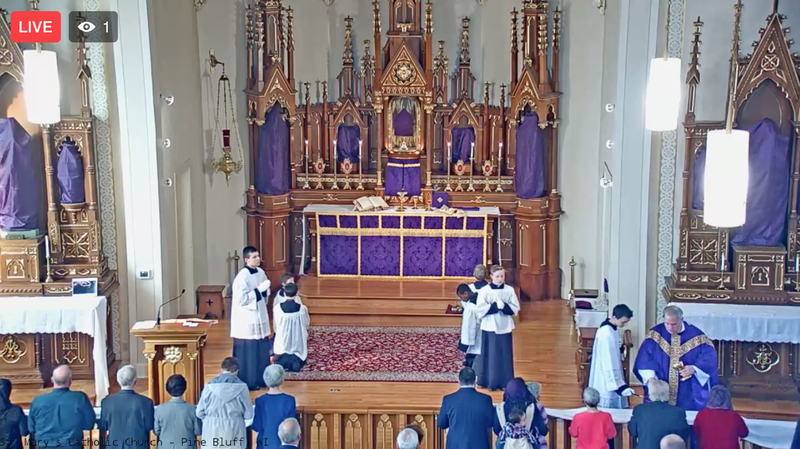 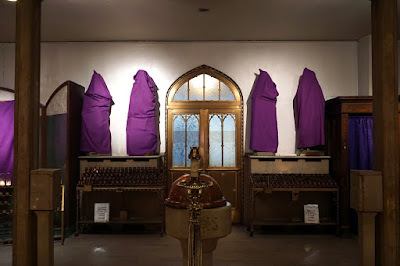 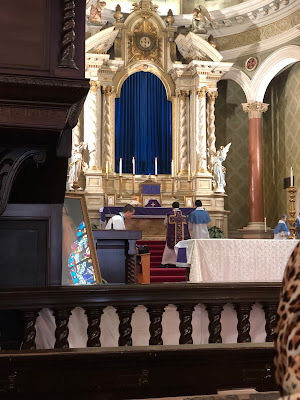 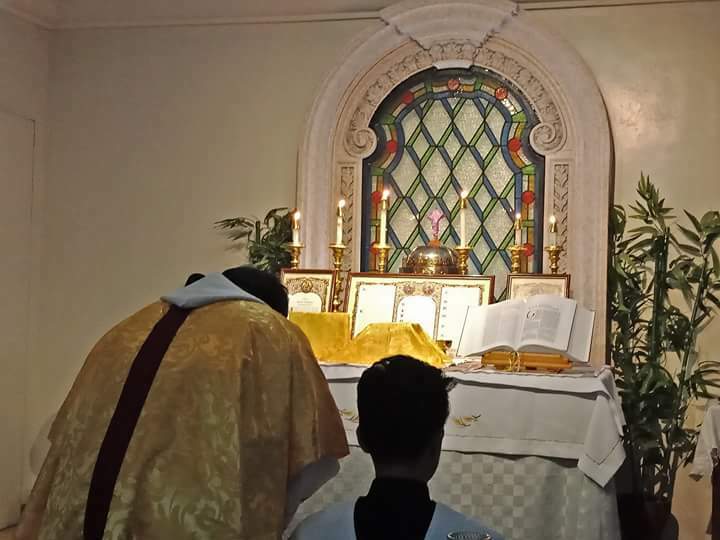 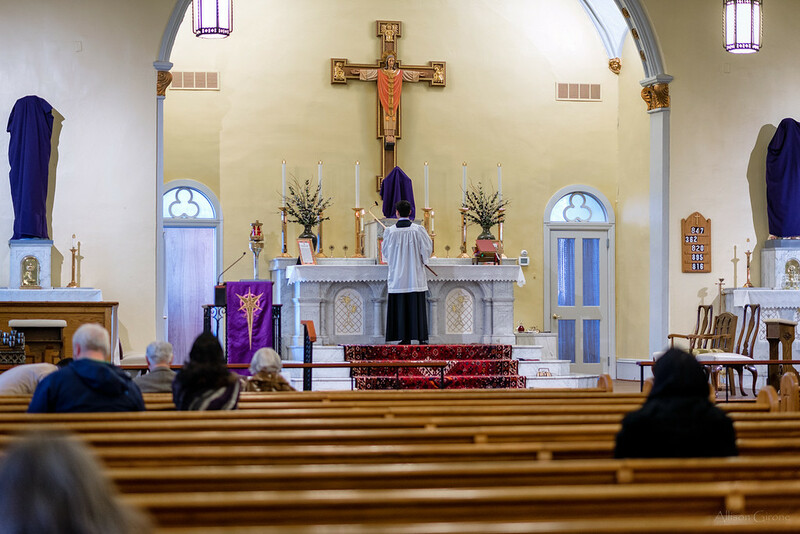 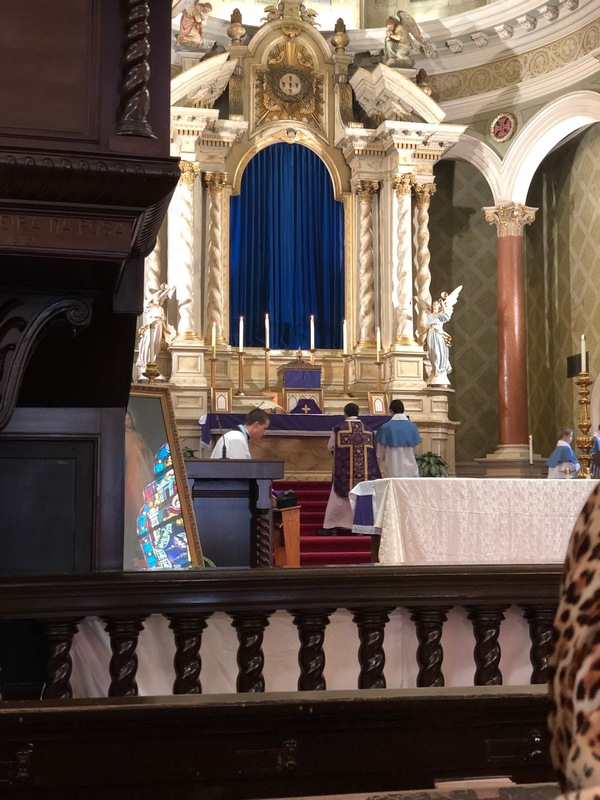 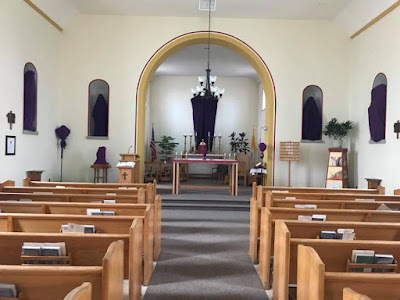 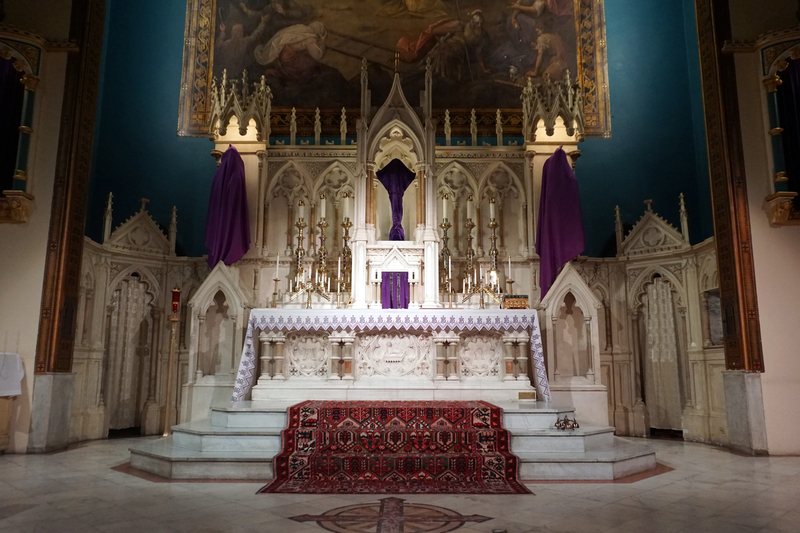 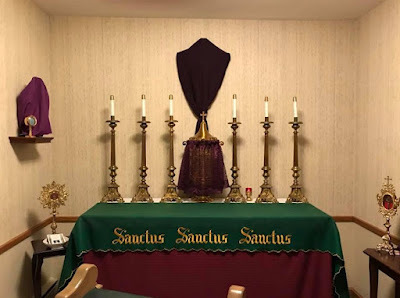 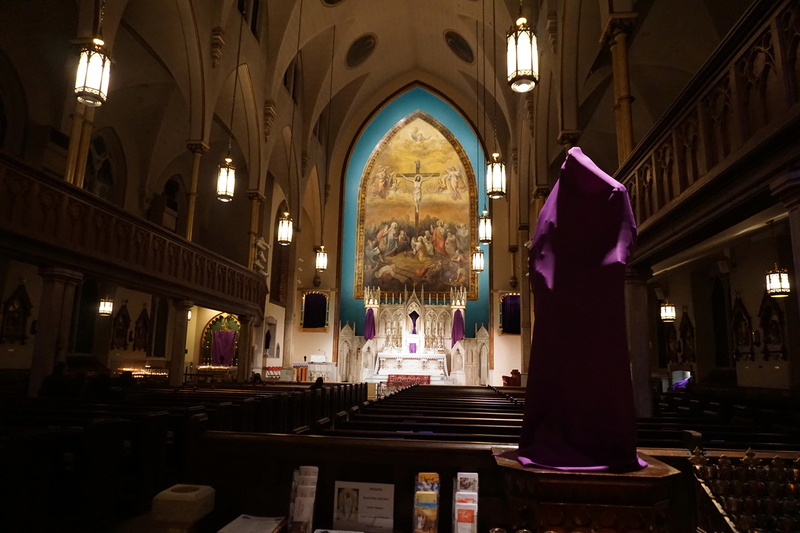 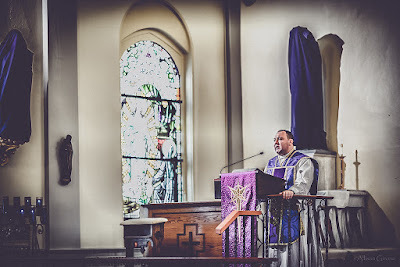 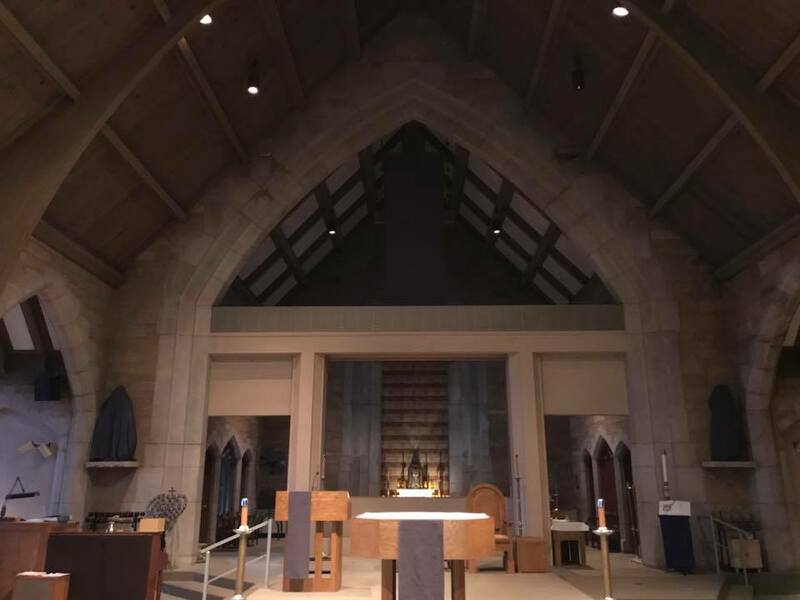 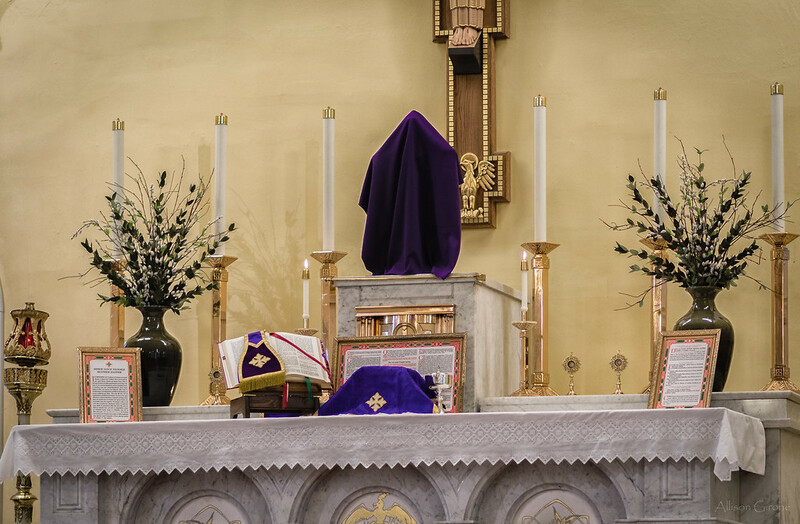 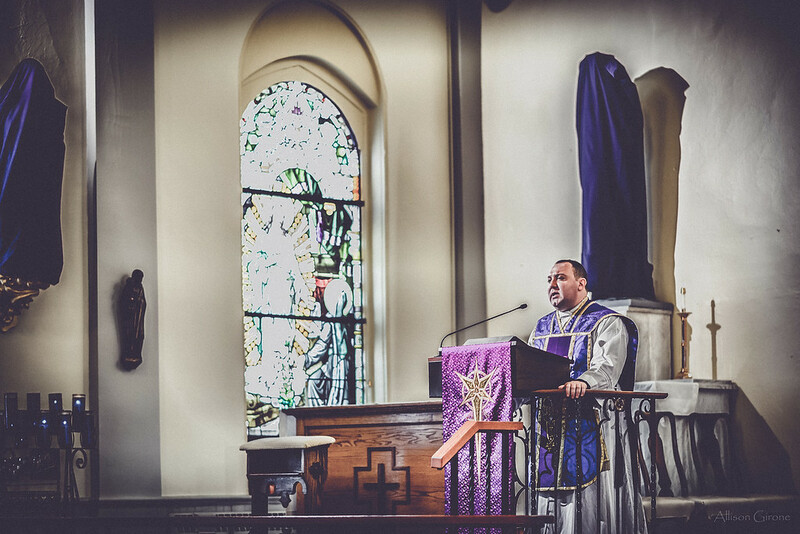 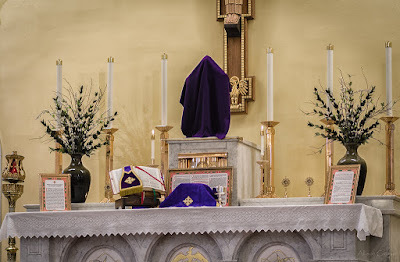 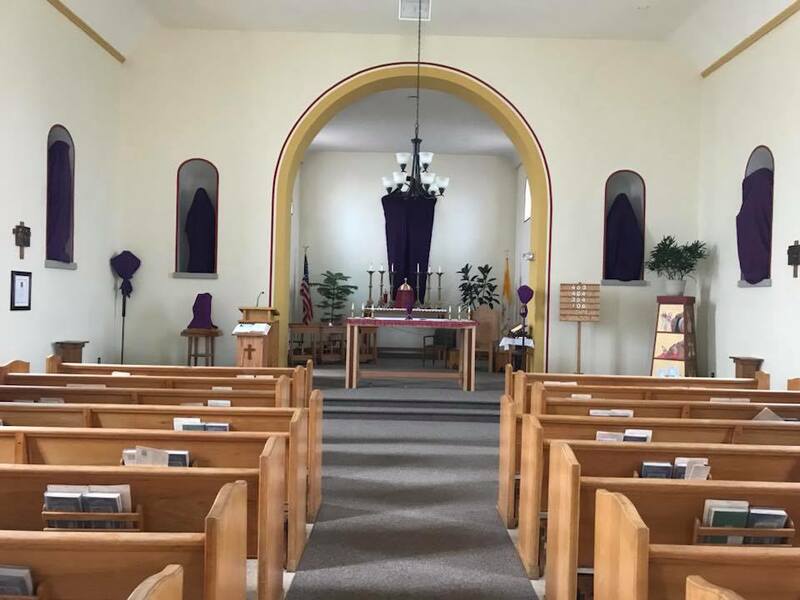 We finally come to the conclusion of our four-part series of churches with veils for Passiontide; I believe we have even surpassed last year’s bumper crop, in terms of the number of individual churches. 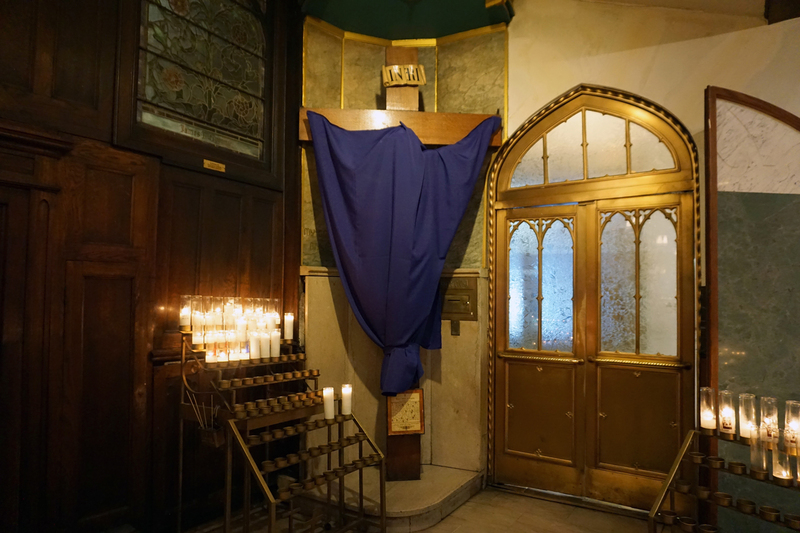 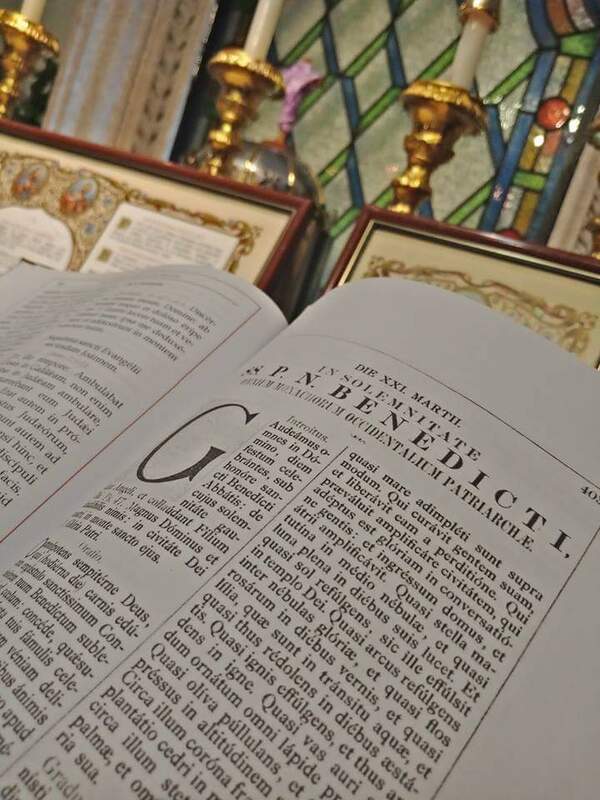 To all our readers, we wish a most blessed Holy Week! I think this must be the smallest veiled cross we’ve ever shown in one of these posts. 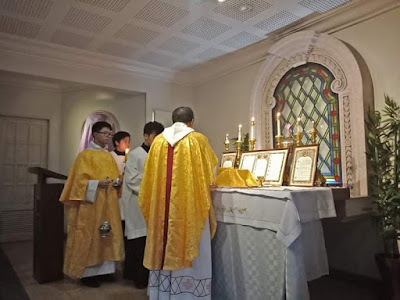 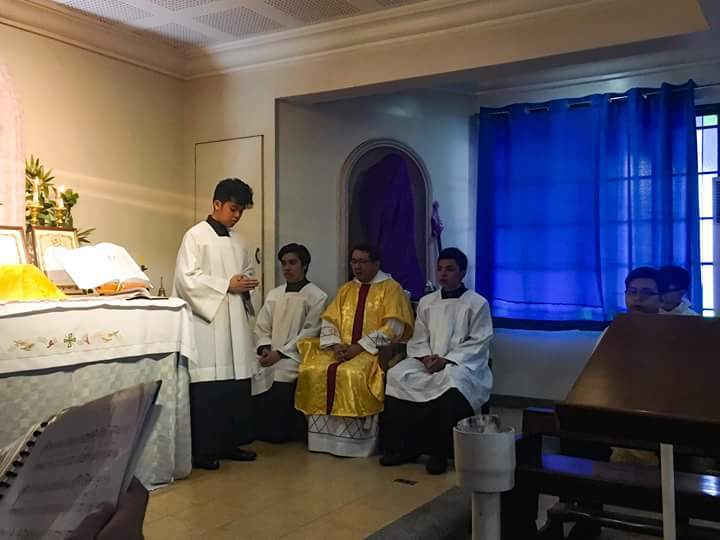 The Mass was celebrated on the feast of St Benedict by the Benedictine chaplain, hence the gold vestments and the tunicled servers, a Spanish custom adopted by the Filipinos.